The Wexner Center for the Arts will be hosting a premiere screening of Steve McQueen’s film 12 Years a Slave for Wexner Center members and students. 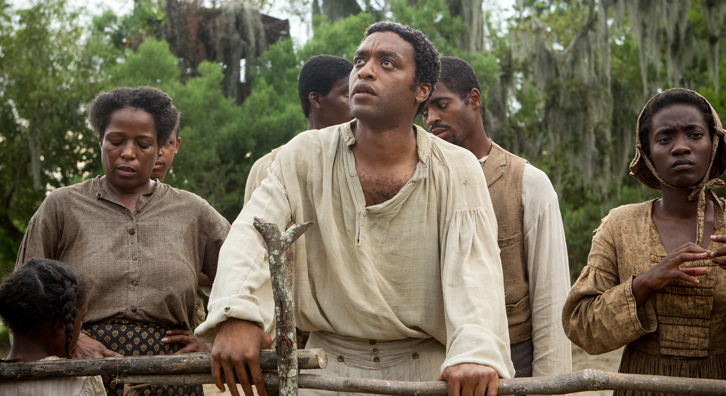 The film, a true story based on the life of Solomon Northup, a black man living in a pre-Civil War America, is a powerful confrontation of an irreversible wound which severely scars our nation’s history. Northup, a violinist born free in upstate New York, was kidnapped and sold into the brutalities of slavery, forced to relinquish his personal liberty, and leave his family, musicianship, and lifestyle. 12 Years a Slave. Fox Searchlight. 11 Oct. 2013. Photo. <http://www.foxsearchlight.com/post/3837/watch-ejiofor-mcqueen-and-fassbender-on-charlie-rose/&gt;. McQueen’s film, in its probing of our historical laceration for which Americans often feel immense shame and guilt, is both a courageous pursuit and necessary exposure of a prior reality. The film not only reminds us of this often unexplored mark left on the nation’s flesh, but the basic efficacy to heal and to overcome, with regenerated strength and vigorous resolve. Enveloped with a star-studded cast, the film is proposed to be one of McQueen’s most significant yet. The regionally premiered screening will take place on Monday, October 21, 2013 at 7pm.